Banner for Mass Poetry's Poetry on the T program, which is featuring my latest poem this month. Fantastic news! 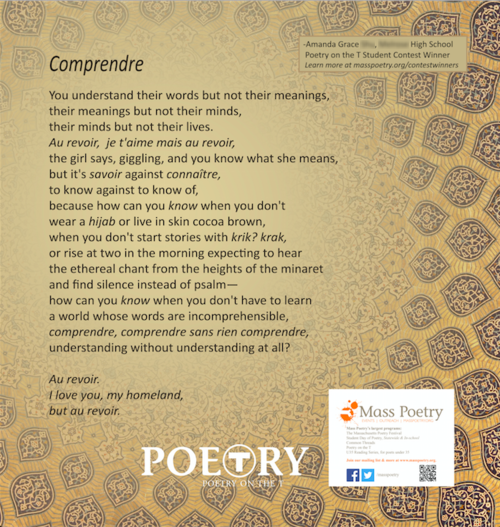 My poem Comprendre was voted one of two student winners of Mass Poetry's Poetry on the T Contest! During the month of May, seven Red Line trains shuttling people throughout the Greater Boston Area will be proudly displaying my poem, hopefully brightening the days of busy commuters through the power of creative writing. Huzzah! Mass Poetry is a marvelous organization that organizes the Massachusetts Poetry Festival each day, so be sure to look at their website. 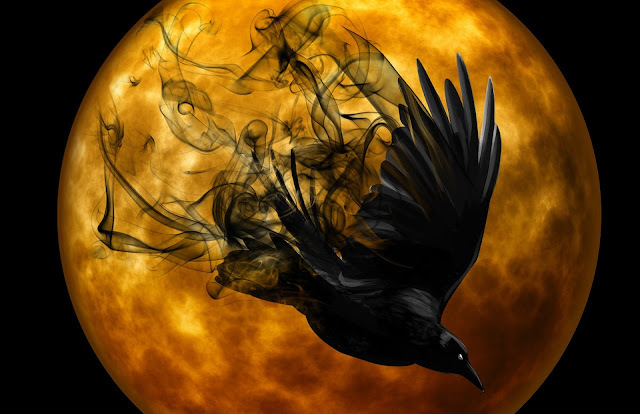 To read the three other contest-winning poems and soak in the astounding art paired with them, click here.